FIRST OFF: Thanks so much for 112 followers! I’ve had so much fun with this blog and hope to connect with more people in the future. Thanks so much to Remants of Wit this award! Please check out her blog–it lives up to its name. I especially recommend her if you like reading/writing (which you probably do, if you’re a blogger!). 4. 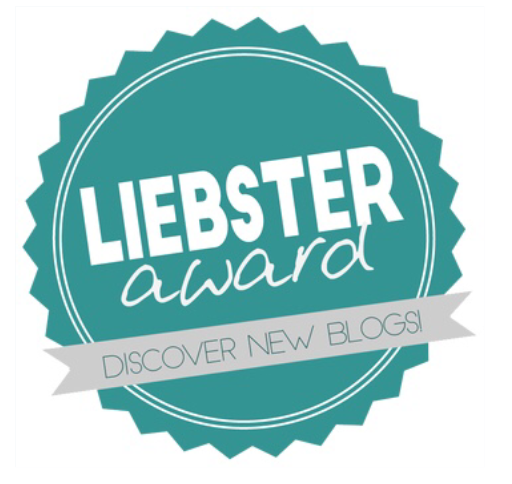 Nominate 11 blogs (with under 200 followers). 5. Notify these blogs of the nomination. 11 Random Facts About Me!! 1. I’m a dog person. 2. I had nightmares about dead pet fish for several years. 3. I wrote a newspaper about pretzels in elementary. I thought it was hilarious. 4. I used to like York peppermint patties, but ever since I heard someone comment that they taste like toothpaste, I can’t quite recover. 5. I eat way too much pasta. 6. Sometimes I point out where Genoa is on a map to my seven-year-old brother so I can feel smart. 7. I am recently obsessed with the musical Hamilton. 8. (Whispers) I’m aro-ace. Which makes it dang hard to enjoy a good romance novel. 9. Rapunzel is my favorite Disney princess. 10. My favorite color is turquoise. 11. My ultimate life goal is to become a meme. 11 Questions from Remnants of Wit!! 1. I hate waterfowl. Loathe waterfowl. I’d take 100 duck-sized horses in a heartbeat. What is the last book you read that made you cry? 2. Like, ugly-cry? The Book Thief. I’m still dying inside from that book. What is an achievement you’re proud of? 3. Not giving up writing. I believe I have mentioned before that I am a smol, fragile little egg, and comments like “this manuscript isn’t worth my time” from a crappy critique partner stick with me. I’m so, so glad that I pushed through the bad years, and I allow myself to be at least a little proud that I made it. 4. Depends. Cakes can be dry, pies can be suspicious. If given the choice, I’d probably play it safe and choose cake. If you could ride any dinosaur (and it wouldn’t try to eat you), what dinosaur would you choose? 7. PTERODACTYL. Tbh, I’m still in the Magic Tree House fandom, and Jack and Annie got to ride a Pterodactyl… dude, I missed out on so many great childhood experiences. Tell us about something you did that was really dumb. 8. (Delirious laughter) Okay. Okay. Um… So there was this time in fourth grade when I signed up to sing a solo for a class play. We practiced with the CD during all the rehearsals except for the last two, during which we used piano (at a different tempo), and—WHY, GOOD MORNING, SOCIAL ANXIETY—I kid you not. I sang well enough with the CD, but when we switched to piano, something in my brain just went NOPE, and after I sang the first word, I froze. And stared. And died. Prepubescent panic attack. I cried after every rehearsal. Why didn’t the teachers take me from the part? No frikkin’ idea, because the same thing happened at the play. In front of all the elementary plus some parents, which to a fourth-grader, was the entire world. Yay school. 9. Partially because I need one—ya know, emerging writing junk. Partially because I love talking to people online. I don’t get to talk to many people in real life. Do you consider yourself to be organized? 10. Erm. Tough question. I want to be organized, but then anxiety is like, “Dude, you can’t handle that. If you get organized, you’ll realize how much you have to do, and then you’ll panic.” You can imagine how that works out. Do you tend to overthink things? 11. Sometimes I do, and then sometimes I go SYSTEM ERROR. BRAIN OVERLOAD. SHUTTING DOWN IN 3…2…1… my, my, quite unfortunate that I missed the deadline for my term paper, isn’t it, old chap? Care for a spot of tea? 1. What’s an interesting place you’ve been? 4. If given the chance to be immortal, would you take it? 6. Was there ever a time you preferred the movie to the book? 8. If you could have another ability, what would it be? 9. What place do you want to live the most (real or fictional)? 11. What is the best thing ever, in your opinion? I’m now desperately scrambling for beta and sensitivity readers so I can have my novel to my (hopefully! She’s promised a contract!) agent by the end of August. Not gonna lie, I freaked out. Squirrel-on-drugs type freaking out. And then a week later…!! This is for One Teen Story, which has been my dream publication for about two years now (it has a circulation of almost 15,000). It’s also going to be my first print publication for a short story…!! Both of those contests together awarded $1,000, which is the honestly the most money I’ve seen since I had to pay for my braces. I’m going to the awards ceremony at Ole Miss tomorrow for the Eudora Welty Creative Writing Contest. Moral of the story: don’t let all the rejections discourage you!! Several of you have given me blogger awards (for which I am eternally grateful!! ), and I’m going to get to those asap. We all have our quirks, but writers especially reserve the right to be a little eccentric. 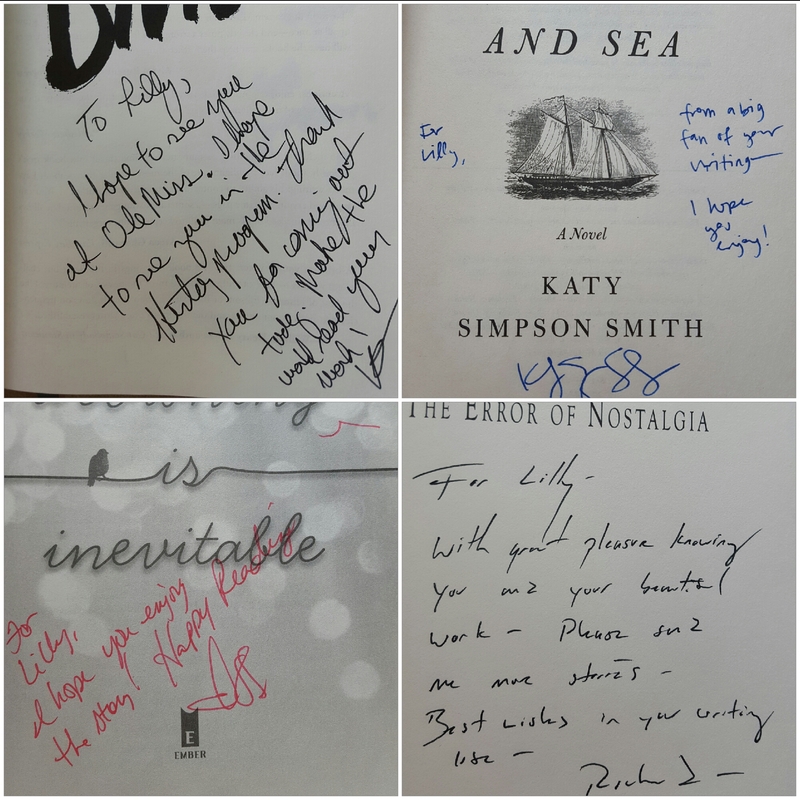 Here’s a few of my quirks when it comes to writing. I write action scenes with shoes on. Chocolate. All day. Every day. For emotional scenes, I write in bed. I write conversational scenes and plot in the chair in my room or on the living room couch. Can’t write in public, either. Coffee shop would never work for me. I usually have to be at home. If I’m having writer’s block and am frustrated, I have one of the main characters eat a poisoned Snickers bar and die (yes, in 16th century Europe). I write my best when I have three tests that I really should be studying for. I’m not even kidding. I must be cursed. Writer’s high hit me exam week this year and it was the worst thing ever. I also write really well between 11 pm and 2 am. I have to be holding something when I write. I usually end up with a handful of clothes hangers. I generally write better when I’m listening to music with lyrics than when I’m listening to instrumentals. I like listening to instrumentals when I have the mental freedom to concentrate on the music (I love me some Beethoven and Tchaikovsky!). Cereal. Sweet cereal. Frosted flakes. Also milk. But not in the cereal. Soggy cereal is the worst. I don’t actually get any writing done when the previous two bullet points are involved. Pretty sure it’s just an excuse to eat on the couch. Me: LOL look at what this loser wrote. Such crap. Hahahahaha. So what are some of your writer quirks? Tell me in the comments! 1st Person Present POV–Should It Be Used? The use of first person and present tense together has been a strongly debated topic in the writing world. Some writers/readers are strongly against it, and others prefer it over all other POVs and tenses. It seems that the main argument for first present is that it’s intense. First person keeps the readers close while present keeps them on their toes. The combination of the two makes for a unique experience for the reader. One downside of this intensity–it can mentally exhaust readers, especially those who aren’t accustomed to first present. I’ve started several books and not finished them simply because the first person POV and present tense was taking my attention off the story, and I had to work to get back into it. Another complaint against first present is how narcissistic it can seem. It can begin to feel like the narrator is showing you around his or her house while narrating every. Single. Thing. They. Do. This is widely a matter of preference. I prefer to have my suspense novels in first person and my thrillers in third. The close, on-your-toes, I’m-not-really-sure-what’s-going-on nature of first person adds suspense to the novel. In thrillers, however, the emphasis is weighed more heavily on the action side rather than on the suspense. There’s probably not going to be as many elements of mystery as there is in suspense novels because thrillers are so fast-paced. The reader needs to know exactly what’s going on; there’s no time to slow down and speculate as to who the killer is. The limited point of view could hurt the story. As to the problem of seeming narcissistic, that can be fixed by focusing less on your main character and focusing more on his or her surroundings. Try to take out as many “I” pronouns as you can. I know that sounds like you’re making the voice passive, but in reality, you’re getting deeper into the character’s head to see things from his or her POV. That’s good. Let’s rearrange the example I used above. See how taking out several of the “I” pronouns makes it seem less narcissistic? Magic. Present is for poetry. Past is for stories. Okay, but I’ve read many good books in present tense where I actually liked it in present tense. What made the difference? 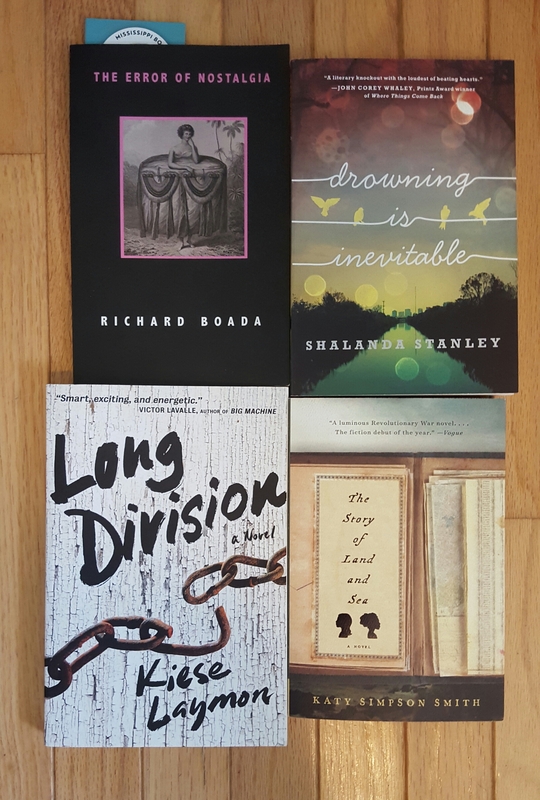 These books focused heavily on themes, symbolism, and other elements that are also elements of poetry. Several were allegories. A book that focuses heavily on plot and more on entertainment than on enlightening the human race (like adventure/action novels) might do better in past tense. It’s just more natural for stories. Again, point of view and tense are both largely matters of preference. However, I do believe that there are circumstances in which one story would do better than another with a certain POV and tense. Don’t just pick a POV and tense because it’s popular. Make sure it fits your genre and story. I’ve also read a few stories that didn’t follow the rules I set up here and were better off for it. Very few, admittedly, but they exist. The authors took command of the POV and tense and made the POV and tense add to their stories rather than distract from them. That said, if you think first person present fits your story, go for it! I’ll be rooting for you louder than anyone else. Markus Zusak is probably best know for his #1 NYT bestseller, The Book Thief, which I thoroughly enjoyed (despite the tears and the massive headache which may or may not have been brought on by too much fangirling). I decided to venture into some of his earlier works. The first one I encountered was I Am the Messenger (alternatively titled The Messenger). Even my best mate, Marvin, knows it, and he’s more useless than the gunman. The thing that struck me as soon as I began reading it was how different it was from The Book Thief. I opened it expecting sickness and death. What I got was Ed. According to pretty much everybody (including himself), Ed is worthless past, present, and future. He’s illegally driving a taxi. The one girl who cares about him has stuffed him into the dreaded friend zone. His father died an alcoholic, and he’s stuck delivering coffee tables to his not-so-lovely mother. Depressing, I know, but I still found myself laughing and nodding along with Ed. Ed is hilarious in the self-depreciating sort of way that many millennials are. Through all the humor, I did sense the underlying theme of depression, which was remarkably well-done and touched me deeply. Zusak’s voice and style are incredible. There was a bit of an info dump at the beginning, but it wasn’t too much of a sore thumb. The book was fast-paced, and it would’ve been hard to give out information and background about the characters as the plot progressed and quickened. So, forgivable. Clichè? Perhaps a little. There was a little bit of the “chosen one” trope lingering among the pages, but I think Zusak may have done that on purpose–we realize as the book progresses that there isn’t anything special about Ed. Ed’s never really been on a journey to save others, anyway… he’s on a journey to save himself. As to the target audience, I wouldn’t recommend it to elementary kids because of references to sexual abuse and, you know, “doing the do” in general. Also language. It’s not erotica, though, so it should be a safe and comfortable book to discuss in an older teen or adult book club, for example. The story has elements of action, adventure, suspense, romance, and humor. It’s sweet, bitter, sad, happy, angry, and deep… something for everybody. It’ll take your emotions on a roller coaster ride, but it’s so worth it. 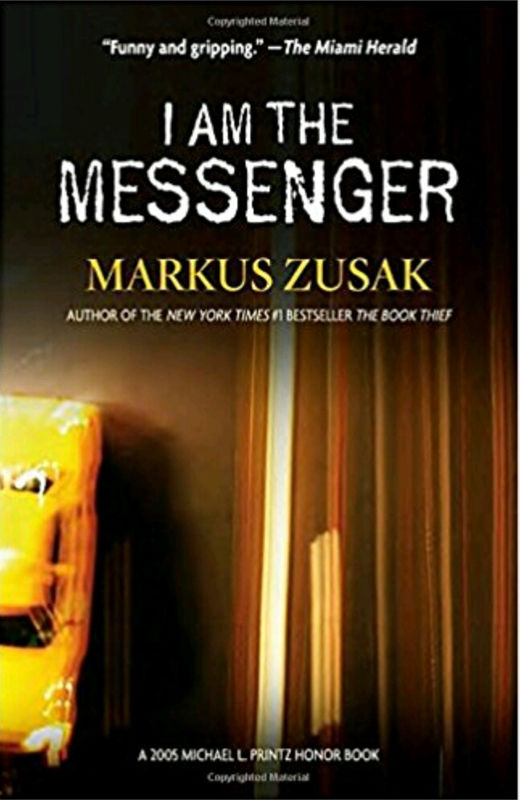 If you’re looking for a page-turner that makes you both laugh and cry, I highly recommend I Am the Messenger. 4.5 stars out of 5 from me. 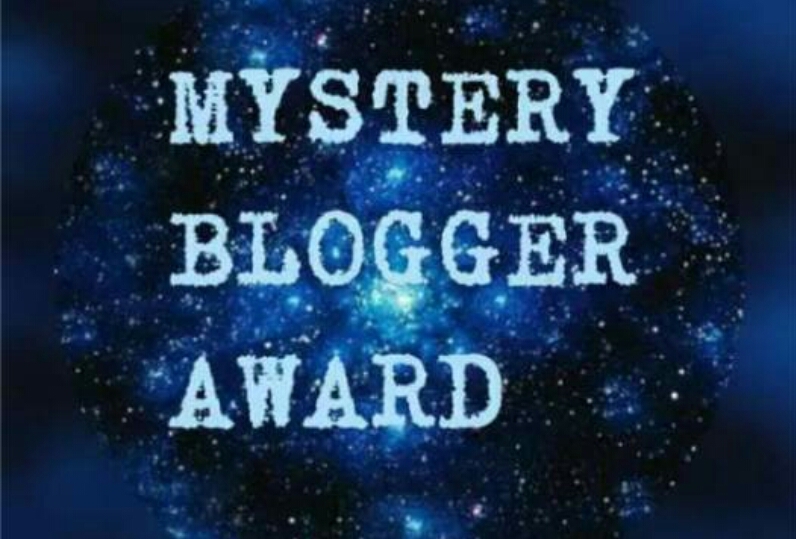 A huge thank you to Shatter the Fourth Wall nominating me for the mystery blogger award!! Please do check out her blog. She has something against pineapple on pizza, but she is rather witty and her posts are as deep as they are a pleasure to read. So I’m supposed to tell three things about myself (chugs three Dr. Peppers and crushes the aluminum cans in my iron grip). HERE WE GO. 1. Hello. My name is Lilly. Two l’s in the middle. I am seventeen years old and very pale. I’m from Mississippi, USA, a state which continually makes the list for both the poorest and the fattest place in America. Go figure. 2. I own a 15-string Renaissance lute but no television. I can do overtones (sing more than one note at a time), but I can’t whistle. I recieved the class award for Latin I, Latin II, and Spanish I, and I studied French, Italian, Cherokee, and American Sign Language on my own for fun, but I still only know English. I have a sword and a dagger and have read the A-Z of Punishment and Torture (great read, btw) but am scared of needles. I want to study abroad and travel the world, but I have two types of anxiety that make me want to projectile vomit when someone asks if I want to hang out. I can hula-hoop, jump on a pogo stick, spin a basketball on my finger, and do some freakin’ insane tricks with a yo-yo, yet I still remain in the top five least athletic people in my class. 3. I can obsess/fangirl over anything. I also stalk fandoms. I have the rare ability to remain undetected within a fandom even if I’ve never read the book or watched the show. So now for the questions!! Are you ready? Because I’m not. I’m never ready. 1. What made you start your first blog? Well, I didn’t want to start a blog. I dislike talking and I obsess over everything I say. Unfortunately, a blog is something that a writer must have if he or she wishes to… idk. Platform stuff. Blog. Yay. Not gonna lie, though… it’s actually been pretty fun. Y’all are terrific. Y’all. Why does that word exist. Sounds like an obscure type of pasta. Ah… I would say thin air, but there isn’t much of that to go around in the Deep South. My novel idea came from a dream I had where there was lots of running and fires and dead people and I was like, dude. This is kinda cool. So I wrote 300 pages. I also think it’s intriguing how much suffering a human being can take. Physical, mental, emotional, whatever, until they either break or heal. I like exploring that. Seeing how these characters I create react to it. How they lift each other up even when their own suffering is incredible. The human experience is fantastic. Not saying that in a good or bad way. It’s just fantastic, and if I can’t experience everything myself, I’m going to write about it so I can experience it through someone else’s eyes. 3. 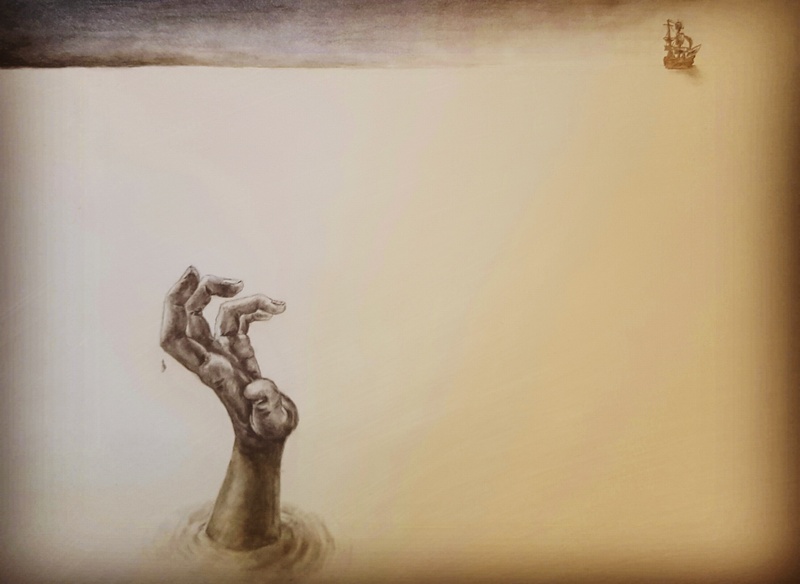 Do you trust anyone with your life–who and why? I guess my parents. I feel like this question could go deeper–who would I trust with my emotional life, etc.–but I’ll leave it at that 🙂 I’ve had too much Honors English this year. 4. What/who is something you deem underrated–this can be an object, artist, experiences, etc. 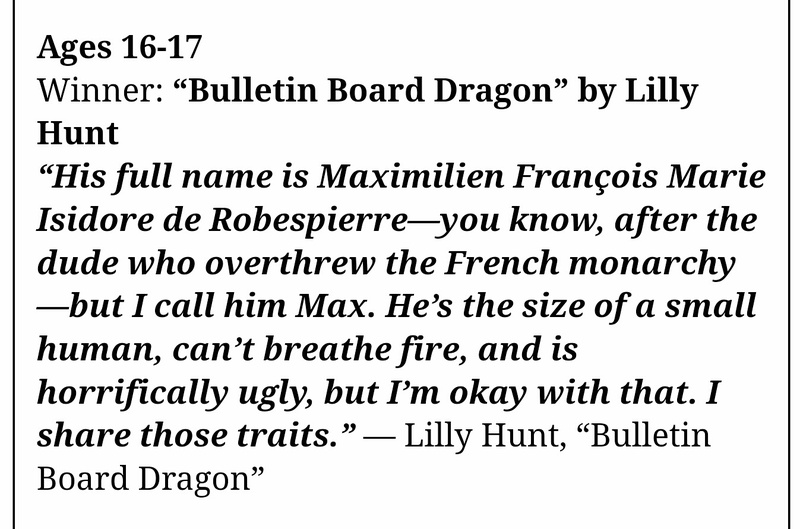 Unequivocally Maximilien Robespierre. He deserves a place with the greatest evil masterminds of history. Instead, he’s stuck sitting beside his heap of guillotined heads and de-Christianized calenders, gazing up at what could’ve been while high school students write papers about Hitler and John Wilkes Booth. 5. What is the best compliment you’ve ever received? It’s not even true most of the time. The truth is that I’m weird, and sometimes I let that slip XD But I’m glad I came across as genuine to somebody. Hit me right in the heart that I may or may not have. And now… with great pleasure, I nominate the following for the mystery blogger award! What do you love more than anything else? Have you ever done something that you thought you would regret but didn’t/vice-versa? What is your opinion on ladybugs? Is there something you wished you liked but don’t? E.g., you wish you enjoyed eating new foods, but you don’t. Thanks again for the nomination! Also for the feedback I’ve been getting on my blog. It’s fun to sit behind a screen and pretend that I have something to say. I was planning on finishing edits on a couple chapters in my novel this weekend, so of course I finished a drawing. Anyway, here it is. Entitled Relictus.